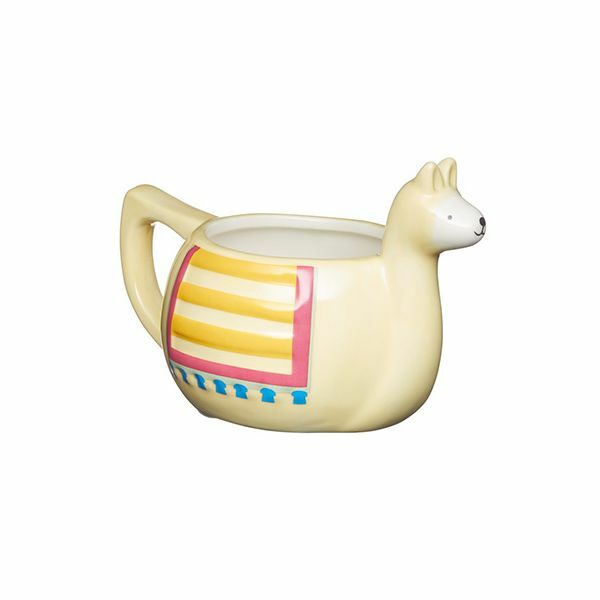 This KitchenCraft wide brimmed novelty llama ceramic mug is ideal for drinking your morning tea and coffee with this fun design. The wide brim and large handle make this mug easy to use and is great for enjoying a comforting and warming hot drink. This novelty llama mug is great for giving as a gift to friends and family, especially llama lovers. The novelty llama mug has a capacity of 450ml.